Getting the best deal is no longer a mystery. A new Chrome extension from Slice tells you if that thing you’re about to buy is really worth it. 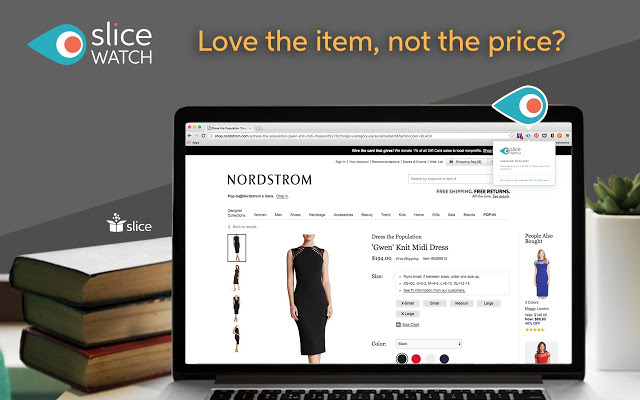 Called Slice Watch, the extension lets you tag an item to your shopping list. From there, Slice monitors various websites for the best price, and emails you when it’s on sale (or just cheaper). If you’re on a site that Slice supports, the extension will be teal. Otherwside, it’s grey. The extension works with major retailers like Walmart, REI, Amazon, Best Buy, Target and Nordstrom. Slice Watch is great for those ‘I don’t really need this’ buys, or when you’re trying to save a few bucks on a large purchase. It’s also here in time for back to school and holiday shopping, when saving a few bucks is always a good idea.